Home / Pantry Items / Clam Cake Mixes/Clam Chowders & Quahogs / Seawatch New England Style Clam Chowder Condensed 51 oz. Home / New England Classics / Clam Cake Mixes/Clam Chowders & Quahogs / Seawatch New England Style Clam Chowder Condensed 51 oz. Home / Hot GIFT Ideas / Gifts For Him / Clam Cake Mixes/Clam Chowders & Quahogs / Seawatch New England Style Clam Chowder Condensed 51 oz. 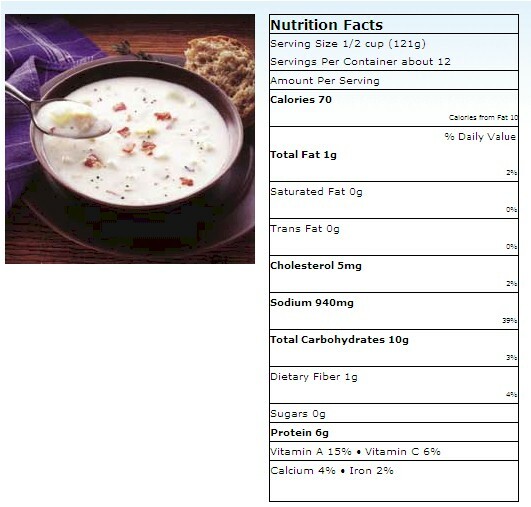 Home / Specialty Grocery / Clam Cake Mixes/Clam Chowders & Quahogs / Seawatch New England Style Clam Chowder Condensed 51 oz. Home / Pantry Items / Condiments, Sauces, Dressings, & More / Clam Cake Mixes/Clam Chowders & Quahogs / Seawatch New England Style Clam Chowder Condensed 51 oz. 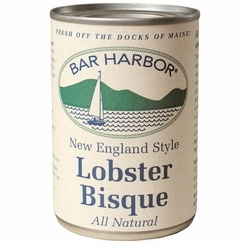 Home / New England Classics / Condiments, Sauces, Dressings, & More / Clam Cake Mixes/Clam Chowders & Quahogs / Seawatch New England Style Clam Chowder Condensed 51 oz. Home / Hot GIFT Ideas / Gifts For Him / Party Favorites / Condiments, Sauces, Dressings, & More / Clam Cake Mixes/Clam Chowders & Quahogs / Seawatch New England Style Clam Chowder Condensed 51 oz. Home / BBQ & Grilling / Condiments, Sauces, Dressings, & More / Clam Cake Mixes/Clam Chowders & Quahogs / Seawatch New England Style Clam Chowder Condensed 51 oz. Home / Hot GIFT Ideas / BBQ & Grilling / Condiments, Sauces, Dressings, & More / Clam Cake Mixes/Clam Chowders & Quahogs / Seawatch New England Style Clam Chowder Condensed 51 oz. Home / Hot GIFT Ideas / Gifts For Him / Party Favorites / BBQ & Grilling / Condiments, Sauces, Dressings, & More / Clam Cake Mixes/Clam Chowders & Quahogs / Seawatch New England Style Clam Chowder Condensed 51 oz. Home / Specialty Grocery / Condiments, Sauces, Dressings, & More / Clam Cake Mixes/Clam Chowders & Quahogs / Seawatch New England Style Clam Chowder Condensed 51 oz. Home / Foods of New England / Condiments, Sauces, Dressings, & More / Clam Cake Mixes/Clam Chowders & Quahogs / Seawatch New England Style Clam Chowder Condensed 51 oz. 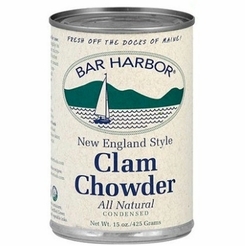 Home / Foods of New England / Clam Cake Mixes/Clam Chowders & Quahogs / Seawatch New England Style Clam Chowder Condensed 51 oz. Home / Pantry Items / Meats & Seafood / Clam Cake Mixes/Clam Chowders & Quahogs / Seawatch New England Style Clam Chowder Condensed 51 oz. Home / New England Classics / Meats & Seafood / Clam Cake Mixes/Clam Chowders & Quahogs / Seawatch New England Style Clam Chowder Condensed 51 oz. Home / Hot GIFT Ideas / Gifts For Him / Meats & Seafood / Clam Cake Mixes/Clam Chowders & Quahogs / Seawatch New England Style Clam Chowder Condensed 51 oz. Home / Foods of New England / Meats & Seafood / Clam Cake Mixes/Clam Chowders & Quahogs / Seawatch New England Style Clam Chowder Condensed 51 oz. Home / Meats & Seafood / Clam Cake Mixes/Clam Chowders & Quahogs / Seawatch New England Style Clam Chowder Condensed 51 oz. Home / Specialty Grocery / Meats & Seafood / Clam Cake Mixes/Clam Chowders & Quahogs / Seawatch New England Style Clam Chowder Condensed 51 oz. Home / Hot GIFT Ideas / Gifts For Him / Party Favorites / Meats & Seafood / Clam Cake Mixes/Clam Chowders & Quahogs / Seawatch New England Style Clam Chowder Condensed 51 oz. Home / New England Classics / Clambake & Seafood / Clam Cake Mixes/Clam Chowders & Quahogs / Seawatch New England Style Clam Chowder Condensed 51 oz. Home / Foods of New England / Clambake & Seafood / Clam Cake Mixes/Clam Chowders & Quahogs / Seawatch New England Style Clam Chowder Condensed 51 oz. Home / BBQ & Grilling / Clambake & Seafood / Clam Cake Mixes/Clam Chowders & Quahogs / Seawatch New England Style Clam Chowder Condensed 51 oz. Home / Hot GIFT Ideas / BBQ & Grilling / Clambake & Seafood / Clam Cake Mixes/Clam Chowders & Quahogs / Seawatch New England Style Clam Chowder Condensed 51 oz. Home / Hot GIFT Ideas / Gifts For Him / Party Favorites / BBQ & Grilling / Clambake & Seafood / Clam Cake Mixes/Clam Chowders & Quahogs / Seawatch New England Style Clam Chowder Condensed 51 oz. Home / Pantry Items / Hometown Food Favorites / Clam Cake Mixes/Clam Chowders & Quahogs / Seawatch New England Style Clam Chowder Condensed 51 oz. Home / New England Classics / Hometown Food Favorites / Clam Cake Mixes/Clam Chowders & Quahogs / Seawatch New England Style Clam Chowder Condensed 51 oz. 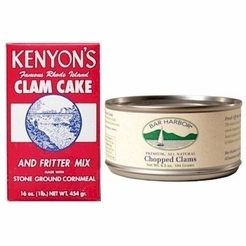 Home / Foods of New England / Hometown Food Favorites / Clam Cake Mixes/Clam Chowders & Quahogs / Seawatch New England Style Clam Chowder Condensed 51 oz. Home / Specialty Grocery / Hometown Food Favorites / Clam Cake Mixes/Clam Chowders & Quahogs / Seawatch New England Style Clam Chowder Condensed 51 oz. Home / Local Portuguese Foods / Hometown Food Favorites / Clam Cake Mixes/Clam Chowders & Quahogs / Seawatch New England Style Clam Chowder Condensed 51 oz. Home / Pantry Items / Global Favorites / Local Portuguese Foods / Hometown Food Favorites / Clam Cake Mixes/Clam Chowders & Quahogs / Seawatch New England Style Clam Chowder Condensed 51 oz. Home / Specialty Grocery / Global Favorites / Local Portuguese Foods / Hometown Food Favorites / Clam Cake Mixes/Clam Chowders & Quahogs / Seawatch New England Style Clam Chowder Condensed 51 oz. 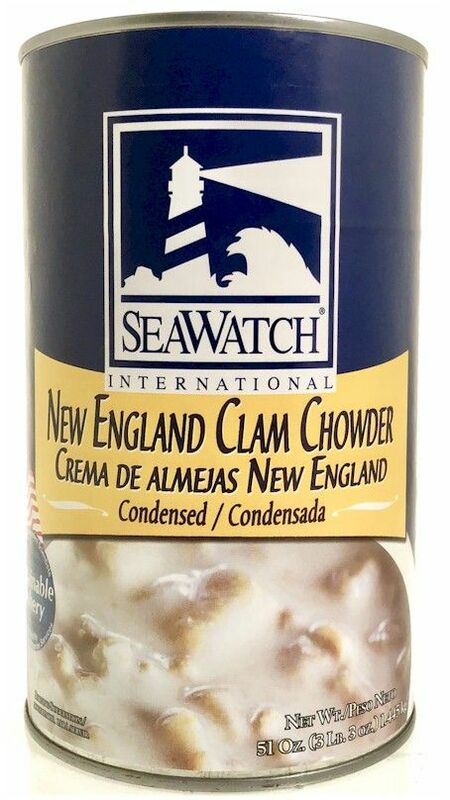 Home / Foods of New England / Local Portuguese Foods / Hometown Food Favorites / Clam Cake Mixes/Clam Chowders & Quahogs / Seawatch New England Style Clam Chowder Condensed 51 oz. Home / Hot GIFT Ideas / Holiday Entertaining / Clam Cake Mixes/Clam Chowders & Quahogs / Seawatch New England Style Clam Chowder Condensed 51 oz. Home / Hot GIFT Ideas / Gifts For Him / Party Favorites / Clam Cake Mixes/Clam Chowders & Quahogs / Seawatch New England Style Clam Chowder Condensed 51 oz. 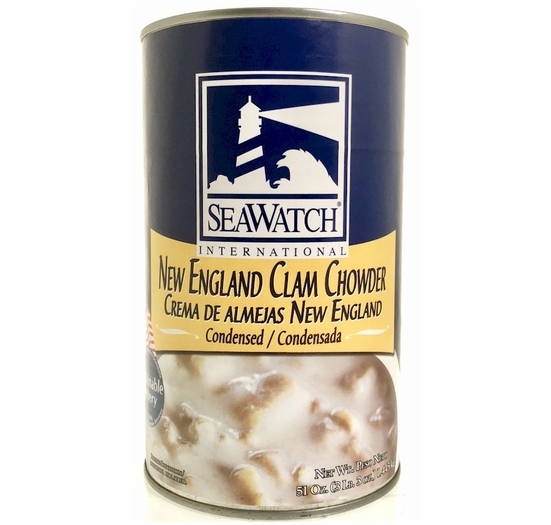 Home / Foods of New England / Brands (New England Favorites) / Seawatch / Seawatch New England Style Clam Chowder Condensed 51 oz. 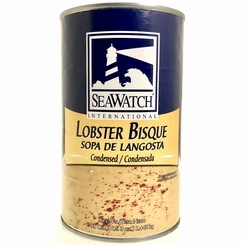 Home / Popular Brands / Seawatch / Seawatch New England Style Clam Chowder Condensed 51 oz. Home / Pantry Items / Condiments, Sauces, Dressings, & More / Soups & Chowders / Seawatch New England Style Clam Chowder Condensed 51 oz. Home / New England Classics / Condiments, Sauces, Dressings, & More / Soups & Chowders / Seawatch New England Style Clam Chowder Condensed 51 oz. Home / Hot GIFT Ideas / Gifts For Him / Party Favorites / Condiments, Sauces, Dressings, & More / Soups & Chowders / Seawatch New England Style Clam Chowder Condensed 51 oz. Home / BBQ & Grilling / Condiments, Sauces, Dressings, & More / Soups & Chowders / Seawatch New England Style Clam Chowder Condensed 51 oz. Home / Hot GIFT Ideas / BBQ & Grilling / Condiments, Sauces, Dressings, & More / Soups & Chowders / Seawatch New England Style Clam Chowder Condensed 51 oz. Home / Hot GIFT Ideas / Gifts For Him / Party Favorites / BBQ & Grilling / Condiments, Sauces, Dressings, & More / Soups & Chowders / Seawatch New England Style Clam Chowder Condensed 51 oz. Home / Specialty Grocery / Condiments, Sauces, Dressings, & More / Soups & Chowders / Seawatch New England Style Clam Chowder Condensed 51 oz. Home / Foods of New England / Condiments, Sauces, Dressings, & More / Soups & Chowders / Seawatch New England Style Clam Chowder Condensed 51 oz. 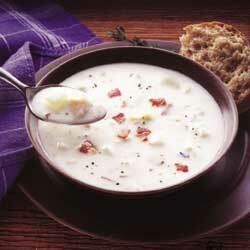 SeaWatch New England Clam Chowder starts with tender, succulent clams harvested from cold North Atlantic waters. Their special cooking process ensures that their clams retain their natural color, flavor, freshness and nutritional value. Everyone will enjoy this traditional favorite. 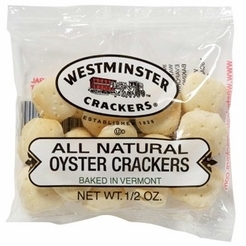 Ingredients: sea clams and sea clam juice, potatoes, water, flour, salt, modified food starch, soy oil, dehydrated onions, monosodium glutamate, calcium disolium edta, xanthan gum, dehydrated celery and spices. Ingredients: Sea Clams and Sea Clam Juice, Water, Potatoes, Wheat Flour (wheat flour, niacin, iron, thiamine mononitrate, riboflavin, folic acid), Salt, Modified Food Starch, Soybean Oil, Dehydrated Onions, Xanthan Gum, Dehydrated Celery, Spices, Calcium Disodium EDTA, Sodium Bisulfite, Disodium Inosinate and Disodium Guanylate. Contains: Clams, Wheat Flour, Soybean Oil, and Sodium Bisulfite.